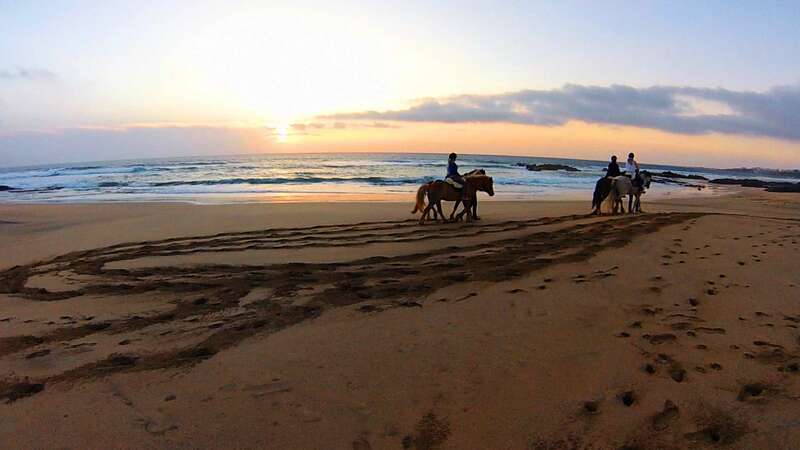 Arriving at Fanny’s farm (an endearing German who fell in love with Fuerteventura and came to stay, waking up each day surrounded by her horses) is like visiting the Far West: Indian tens, ponies, wooden cabins… Experience touring the cliffs of Cotillo in true cowboy style. From Bahiazul we will take you to Fanny’s farm. 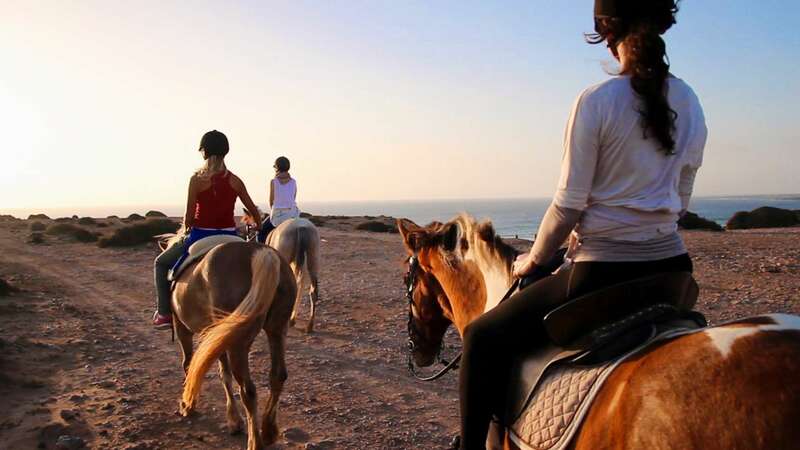 Once there, you will learn how to handle and care for the horses in order to enjoy a tour of the island on horseback. Depending on your level you can ride alone or with a monitor. 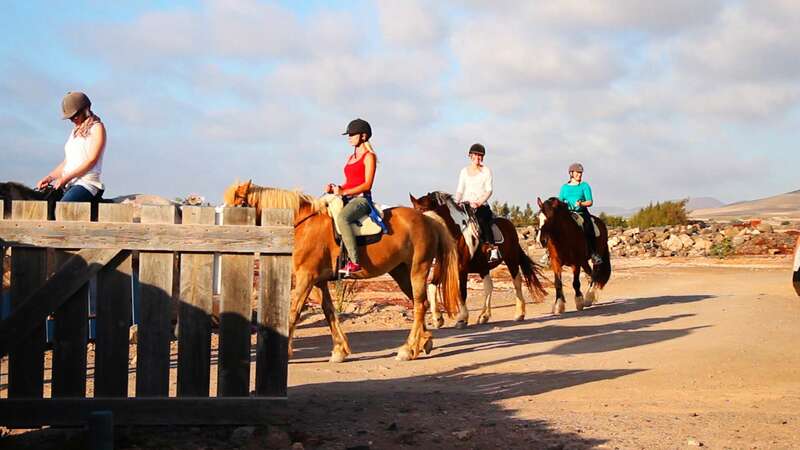 The route on a dirt road starts from the farm up to the cliffs of Cotillo. 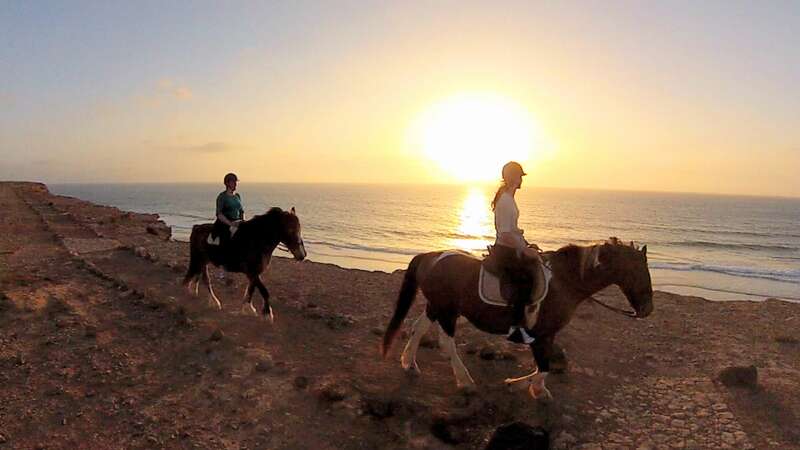 You will enjoy one of the prettiest sunsets in Fuerteventura. 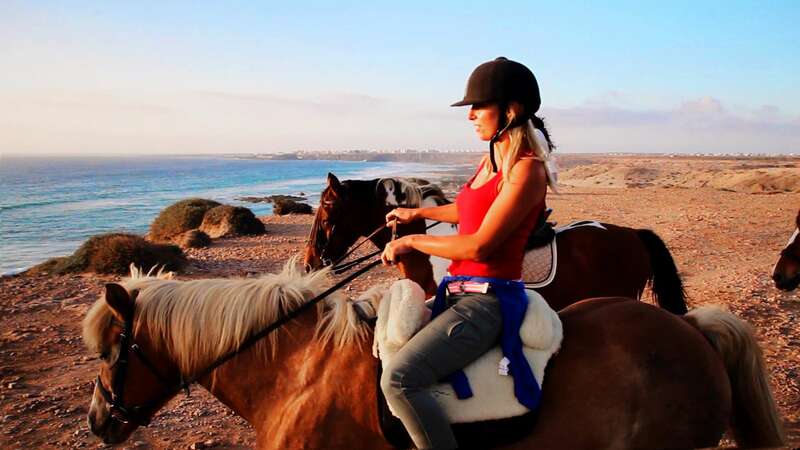 Riding alongside the cliff, you will see how the sun descends into the ocean. 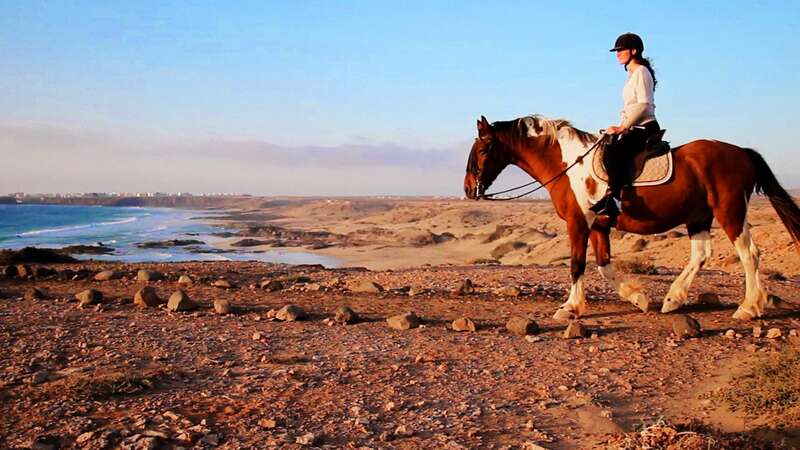 Once back, you can reach the sand witnessing unique scenery.